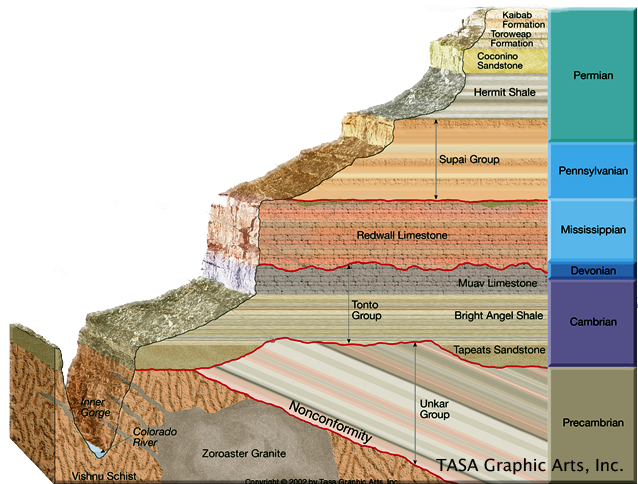 Basement rocks, the ones far below the Cambrian sediments, don’t get much love. Where’s the poem? Kipling wrote one featuring the less interestingÂ ocean abyssal plains. They are of little interest to palaeontologists, as there are no fossils (baked bacteria are pretty invisible), and none to oil and gas drillers. They are vital to us simply because the continents rest on them. 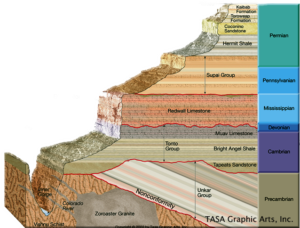 Specific names have been assigned to individual plutons and dike swarms because the plutons and swarms differ greatly in their age, origin, and tectonic significance. The oldest of these plutonic complexes, Elves Chasm Gneiss, likely represent a small fragment of basement upon which the metavolcanic rocks that comprise the Granite Gorge Metamorphic Suite accumulated. The remainder of the Early Paleoproterozoic granites, granitic pegmatites, aplites, and granodiorites â€“ are parts of either younger plutons or dike swarms, that have intruded the Granite Gorge Metamorphic Suite, either contemporaneously with, or after they were metamorphosed. Etc etc. If this sounds more like the result of an explosion in a connoisseur jam factory, it’s because the actual processes were similarly violent though much slower. small protocontinents were common, prevented from coalescing into larger units by the high rate of geologic activity. Do the Priorplater and Posteriorplater factions speak to each other, or anathematise from their rival journals? Either way, the exploding jam factory was at work for several billion years, moving large lumps of crustal rock about, colliding and subducting them, and metamorphosing early sediments with ferocious volcanic heat. That’s why very old rocks (over 3 Gya) are rare, and the basement is typically complex. The basement rock may lie on the surface, as in much of Scotland, or be covered by ten kilometres of sediments. What deep rock is, is hot. A heat map of Britain at 5 km and 7 km depths. This study is the source of the maps and also gives estimates of the British geothermal resource. Tl;dr: it depends. The heat in place in the rocks is mind-blowing: to 9.5km, 357,000 exajoules. If it were possible to develop just 2% of this resource (7144 EJ), this would be equivalent to 1242 times the final UK energy consumption in 2015.
opposed to conventional hydrothermal, which consists simply in tapping an existing underground reservoir of superheated water) is not heat but permeability. The EGS scheme is to drill at least two holes into a deep block of hot granite: one to push water down under pressure, the others to bring it back up heated by its passage through the cracked rock. The water generates the cracks by itself. This works in principle, and has been demonstrated in several pilots, notably at Soultz-sous-ForÃªts in Alsace. The problem, on top of the high cost of drilling into very hard rock, is to get a sufficient flow of superheated water for commercial scale operation. An Australian commercial pilot failed â€“ party because the location was outlandishly remote, and it was not worth an expensive grid connection. There is just one operating pilot well in the USA, at the Newberry volcano in Oregon. Its future is uncertain, as it failed to secure the nomination as the DoE’s main EGS research centre (FORGE), which went to Sandia in Nevada. The continued funding of such long-range programmes is in doubt under the Trump administration. As a result of this globally slow-walked and underfunded research effort, estimates of EGS potential are too uncertain to be useful. 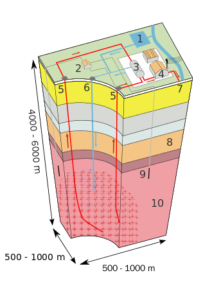 The same British study estimates the â€œtotal technical potential powerâ€ under Britain to 6.5 km depth and above 150 C as 222 GW, over four times current peak electric demand of 53 GW. But if you restrict the depth to 5 km and the temperature to >200 C, the potential drops to a very modest 2.3 GW. A 100:1 range is the same as saying â€œwe don’t knowâ€. Alternative forms of renewable energy must now struggle with the very low cost of wind and solar. In Mark Jacobson’s latest all-renewable energy scenarios for 139 countries, wind and pv solar would account for 85% of all delivered electricity, and an only slightly lower percentage of all energy in a basically electric economy – the difference is accounted for by geothermal district heating. The 15% gap could easily be met with fossil gas from plants already in place, but that’s cheating and the gas has to go to zero by 2050 for the world to reach net zero emissions. EGS geothermal is competing, along with CSP solar, P2G, biomass and grid storage, for a slice of that 15% renewable gap. The winner needs to be reliable, despatchable and affordable. Affordable does not mean â€œas cheap as wind or solarâ€, it won’t be. The conditions do rule out nuclear and wave. Advantages of EGS: completely reliable (99% if you are ready to pay for it); safe; despatchable in minutes; low land footprint; typical size of 100 MW matches much geographic demand, cutting transmission costs and increasing grid reliability; widely available – universally so if you are prepared to drill down to 10 km, as oilmen routinely do . Disadvantage of EGS: doesn’t work yet. So as a long shot it’s utterly dependent on continued research support, which IMHO it deserves much more than small â€œand completely safeâ€ nuclear reactors, fusion, wave, power kites, and concentrating pv, not to mention drones to deliver parcels, green ketchup, credibly scary orcs in video games and similar problems of absorbing commercial interest. 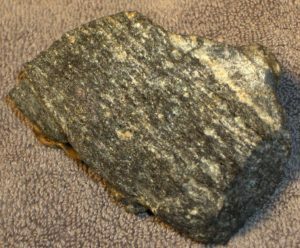 If you are going to be purist, a single EGS plant is not 100.00% renewable, as the lump of granite beneath it cools down over time and you have to move the plant to a new site every 50 years or so. The rock heats up again over the following century, so in the longer run it’s renewable. In the very, very long run the Earth’s core cools down and our hypothetical descendants freeze. I’m not sure though if this happens before the Sun bloats up into a red giant and swallows the planet. 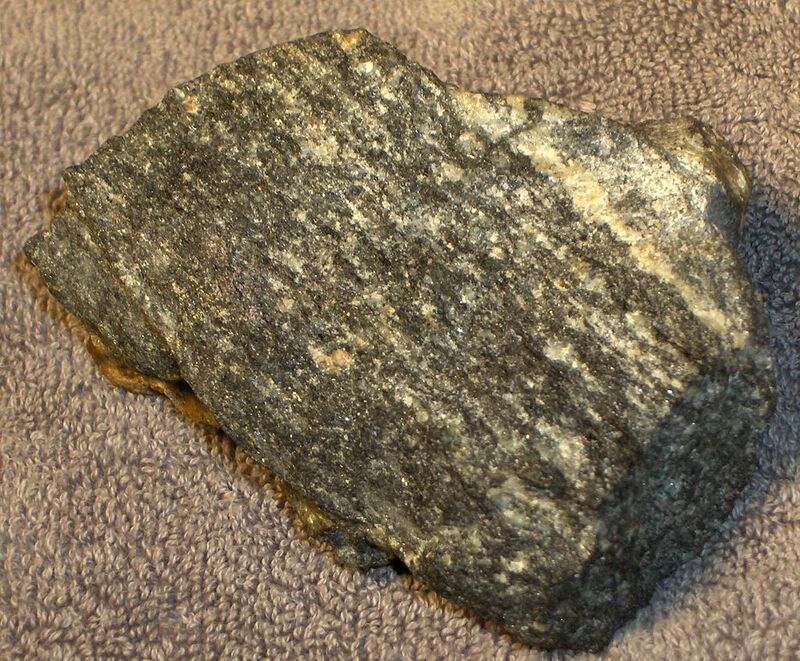 Though the correct spelling is â€œgneissâ€. Ah, what sort of world will we leave to the cockroaches and Keith Richards? About 7 years ago, an Emeritus prof from Harvard or MIT (I think) was talking about the potential for EGS. His tag line was there was enough potential energy to run the human race 1000 times over for the next million years. His thoughts were that this technique would work almost anywhere, and that a large city could build its own EGS plant for $500 million. IF (!) that were true (and my memory is correct), we could build about 1250 such plants for the cost of one year's worth of fossil fuels for the U.S., just to put it into perspective. But what about the coal miners? Won't somebody please think of the coal miners? The big MIT report from 2006 on the geothermal potential of the USA is here. I remember one of my physics professors describing the method for drilling the necessary deep hole for one of the pilot projects. Apparently they built a very small unshielded nuclear reactor, stuck it in a borehole and let it go supercritical. Don't think that became standard. Although there's geothermal energy everywhere under us, I'm a little surprised that more isn't being done to exploit the resources that are closest to the surface. Many parts of the world have molten rock at shallow-enough depths to make drilling pretty plausible. There is a project in Iceland to tap volcanic energy – they don't call it geothermal. The magma is at up to 1,000 C, and the nearby rock (which is what you are trying to use) is still enormously hotter than anything tapped for EGS. If it goes wrong, the blow-out is a nice little man-made new volcano. Professor Sauronson is leading the effort, with geophysical advice from Dr. Saruman of MIT (the Middle-Earth Institute of Technology)…. You say "nice little man-made new volcano" as if that were a bad thing. My take is that it starts badly, with the ridiculous myth about the dissolving ships, and then gets better. He anticipated McLuhan, and was better on which technology would get us there – it wasn't TV but the line from the telegraph to the telephone to the Internet. Given the terminology, basement rocks might also be a resource for bad puns. That's incorrect – it takes thousands of years to heat up again, either from heat conduction up from the basement rock, or from continuing radioactive decay of uranium in the granite. In New Zealand they've just found that rock under the Southern Alps is anomalously hot. It's partly because it's a tectonic boundary, but also because the rock used to be a lot deeper, and hasn't yet cooled down after having its nice rock blanket unceremoniously ripped off during the last uplift and glaciation cycles. Next Next post: So much winning!